The Best Balance for Basic Weighing ! 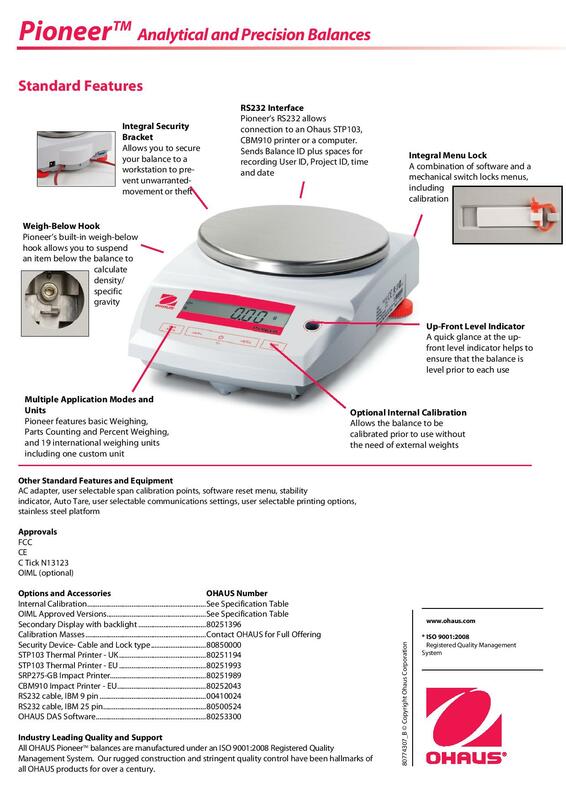 The Ohaus Pioneer™ Series of analytical and precision balances are designed for basic routine weighing in a variety of laboratory and educational applications. With the right combination of performance and features , The Ohaus Pioneer offers uncomplicated performance for basic weighing needs. Easy to clean draft shield – Pioneers draftshield is designed with glass panels . including three sliding doors. All panels are easy to remove and replace , together with a stainless steel diameter pan make it easy to clean. Upfront Level Indicator – The balance has been designed with an up front level indicator , users can quickly ensure the balance is level prior to use. Selectable environmental settings – Three filter modes adjust zero tracking , adjust balance sensitivity to environmental conditions. Flexibility of available options – Ensure accuracy with internal calibration . Multiple application modes and units – Pioneer offers basic weighing , parts counting and percentage weighing. 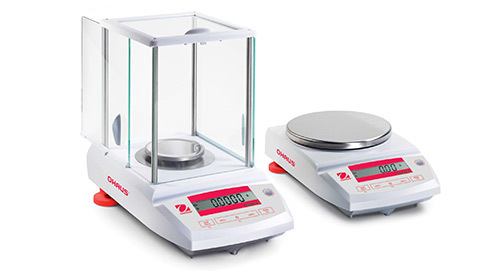 Weigh below hook – Allows you to suspend an item below the balance to calculate density / specific gravity. PA 214 – 210 grams x 0.1 mg.
PA 410 – 4 100 grams x 0,01 gr.